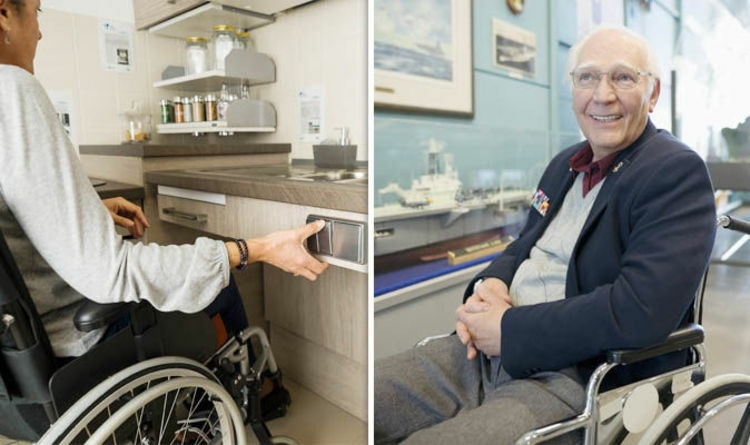 Report lead author Dr Helen Meese said: “About seven million UK homes are headed by someone aged over 65, who will undoubtedly need some form of assistive technology to help with everyday living within the coming decade. Physical inactivity costs the NHS £10billion a year and £2.5billion is spent on care annually as a result of poor housing according to the report Healthy Homes: Accommodating an Ageing Population. But Dr Meese said simple, low-cost home modifications such as installing handrails, outside lighting and slip-resistant surfaces have been shown to result in a 39 per cent drop in injuries and a 26 per cent reduction in medical treatment. And building or adapting homes to suit the ageing population could help them avoid the need to downsize, which often exacerbates mobility issues and the onset of frailty. The Healthy Homes report calls for the Government to introduce financial incentives for construction firms to build homes that are “flexible and will span the generations”. It also recommends the inclusion of older people in the design process and outlines the potential for new markets in smart technology to help to tackle the existing inadequate housing stock.